Please note: Crib and Bloom mattress sold separately. 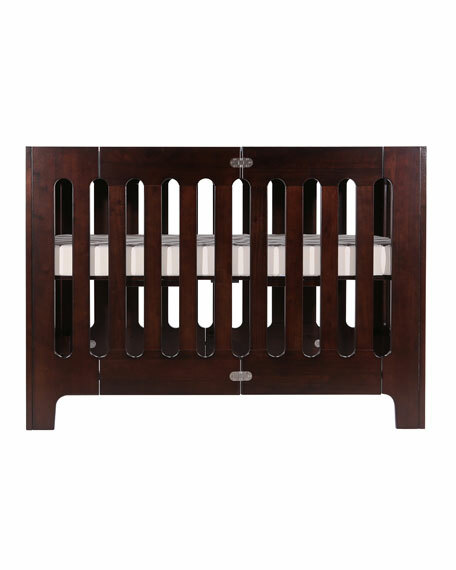 Due to its European design, the Alma Papa crib is not compatible with US standard sized crib mattresses and requires purchase of a Bloom custom mattress. 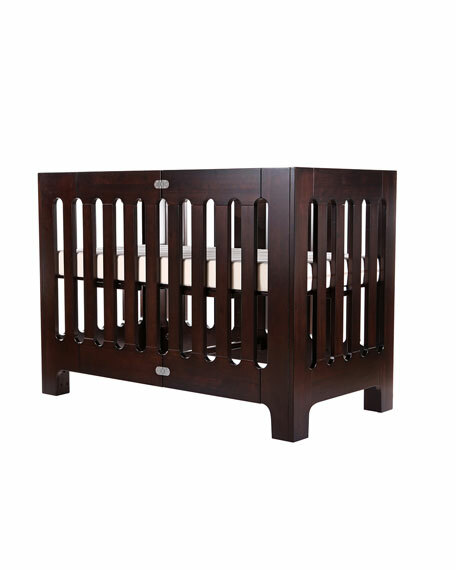 Bloom Alma Papa urban-living and Brooklyn-inspired baby crib with clean lines and modern arches. 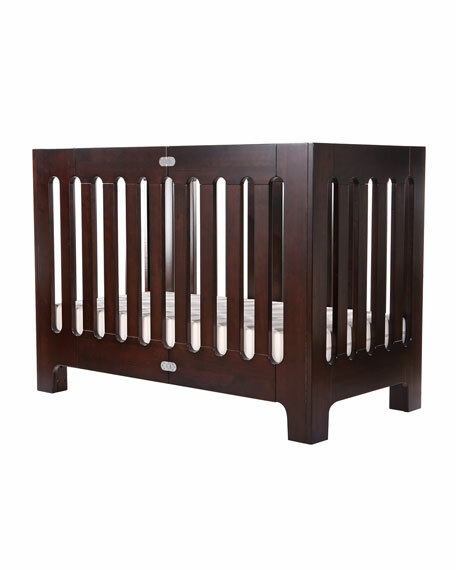 Solid wood crib (American Birch) suitable from newborn to 4 years. Low VOC baby safe finishes, MDF-free, and formaldehyde-free. Manufactured to conform with globally recognized safety standards and norms. 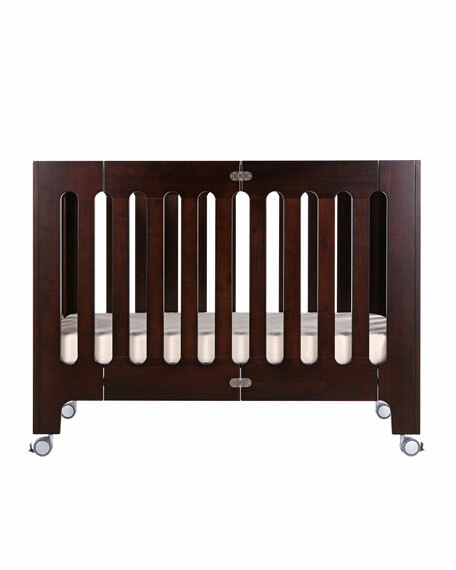 2 mattress heights allow use as bassinet & full-size crib. Its European sizing makes alma papa perfect for shared sleeping spaces. Patented compact-fold construction for easy storage & transport. Open slats on all four sides maximize all important air-flow. 4 lockable castors for room-to-room mobility. 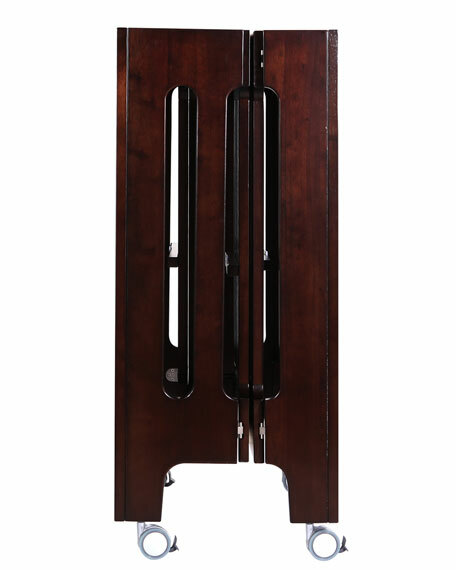 Dimensions: 125.5cm/48"L x 64.5cm/35.5"W; 40cm/15.5"L folded. bloom was founded by four dads who wanted baby products that combined old school function with modern innovation and design. The main focus at bloom is bringing baby and parents together through style and quality products. All bloom products are made with baby, parents, and the environment in mind by using sustainable woods, recyclable plastics, and chemical-free materials.